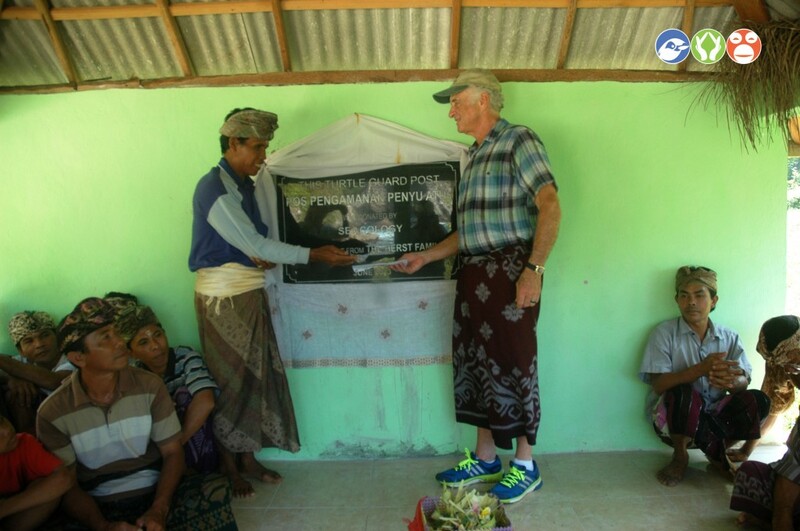 Atuh beach, Nusa Penida, Juli 18, 2013 – “If we don’t care about our planet, we don’t care about ourselves,” says Friends of the National Parks Foundation donor and supporter Douglas Herst, at the opening of our new turtle guard post on Nusa Penida island. The Seacology board director, who is based in Berkeley US, came to Bali recently to attend the dedication ceremony for a turtle guard post at Atuh Beach, in Pelilit village.This project arose after villagers spotted turtles, which are endangered, landing on their beach, especially every full moon. 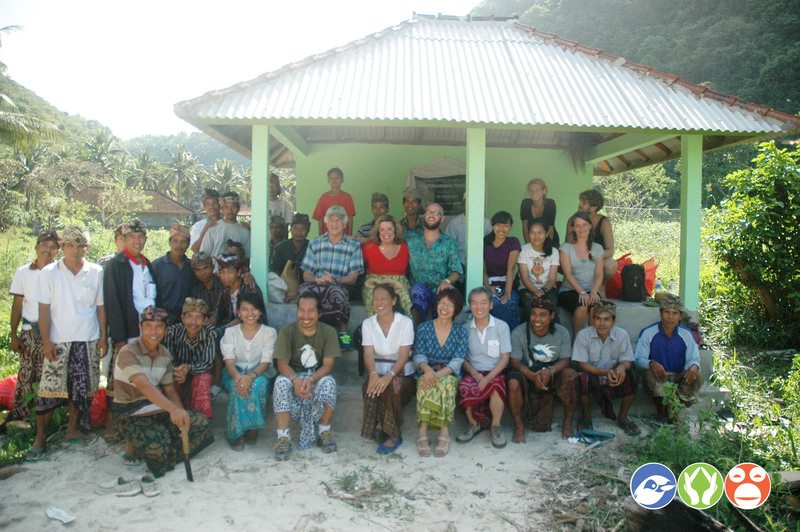 FNPF, an Indonesian conservation not-for-profit organization, built the guard post, with funding from Seacology, and dedicated it to the village so they could help monitor turtle activities. FNPF will visit the post every full moon to observe and research turtle movements in the local area. Along with protecting the sea turtle, we want to build awareness among the community about the environment and to encourage them to preserve this endangered species. We hope to see this project expand, with many turtles saved, and the village prospering. If you would like to support the village and help them protect their environment, through a donation or volunteering, then please visit www.fnpf.org for more information. For mere information eller for at arrangere et interview kontakt venligst FNPF kommunikationschef Kirana Agustina på (+62361) 977978 eller : info@fnpf.org.